Astrology in the West has not changed since the Babylonians and Ptolemy constructed their varying Astronomical fictions, this was nearly 2,200 years ago and as such an evolution is very much needed. As a Queer Astrologer who seeks to continue to “queer” Astrology, an innovative new approach is called for, this represents the first fledgling attempt at a possible queer Astrology. Many things have changed since then our Astronomy has caught up to the realities of living in an expanding Universe, Cosmology has gone from being geo-centric and relegated to a system containing seven planets to the Cosmic horizon expanding beyond our galaxy into the signal noise of the Big-Bang stretching back just under 14 billion years ago, and the Earth has wobbled on its axis to such an extent that the precession of the Equinoxes has moved the line of declination 23.5 degrees West along the ecliptic meaning that the Vernal Equinox in the Northern Hemisphere now begins in Pisces, not Aries, and in another 160-200 years it will rise in Aquarius (in the year 13,727 C.E. Polaris in Ursa Minor will no longer be the North Star it will be Vega in the constellation Lyra). Western Astrology continues to labor on in a fiction that applied to the sky as it was 2,200 years ago, it no longer follows the progressions used in Tropical Astrology, the zodiac has arbitrary boundaries whereas in fact the constellations which make up the signs have fuzzier boundaries. 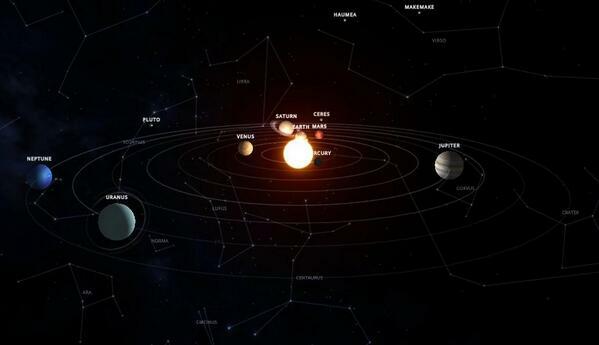 The Sun seen from Earth transits through them at varying degrees and longer and shorter day progressions than it once did, as such a “new” Astrology has arisen in its place known as 13 Sign Sidereal Astrology, also known as the Ophiuchan Zodiac. This new system that corrects for the changed Precession of the Equinoxes, and introduces a “new” sign (it was omitted by the Babylonians as it violated the symmetry of 12 signs), this system also updates to reflect the state of modern Cosmology and Astronomy. The dynamics of the new system are too complex to go into here, instead I will high-light some of the changes that apply to this month’s reading as the aspect patterns will remain mostly the same but the sign and meanings will prove a radical departure from the story arc these projections have been following but in the interest of keeping current to the cutting edge our species is on, and a deep commitment to intellectual honesty a new approach must be followed to reflect changed realities. Technology ultimately is a non-zero sum game, as it continues to evolve a greater number of people will gain from its articulation and diffusion into human societies. It has been a potent driver and accelerator of social evolution since the first humans flaked stone into spear points. It will continue to have a needed disruptive impact on social structures which must in order to survive selective pressures continually evolve in a protean adaptation to shifting conditions. This is a potent reflection of where Neptune actually is transiting through the sky which is in the declination range of the constellation Aquarius. Many of the projections made about technological innovation have been seen through the Aries lens this changes slightly, as now they will be seen through a Piscean lens as Uranus shifts into Pisces, and Neptune is now in Aquarius showing an interesting mutual reception that won’t repeat for a little over 200 years from now. Technical innovations have always been dislocating and pioneering and that historical tendency will persist for as long as technological evolution continues and Humanity continues to wear the mantle of social complexity. The exciting precedent of our times is that for the first time our technological evolution is pushing us towards increasing personal liberties, and social liberation from entrenched elites (granted they will continue to try and limit this, as they see their power increasingly erode). This is an apt metaphor for the boundary dissolving powers of Neptune acting through the Aegis of the Aquarian correlation. Technological dislocation will continue to dissolve the boundaries of our social hierarchies, unite disparate people across the global framework, across the boundaries of politics, cultures, and history creating an ocean or web-like net that will increasingly unite human interests into a broad and intra-subjective universal framework. The Internet will be the most potent arsenal in this all-out assault on ossified hierarchy and will be reflected in liberation movements utilizing these technologies to unify people into new cultural frameworks which will transcend historical divides, this can play out for ill or for good only at the hands of engaged people worldwide. 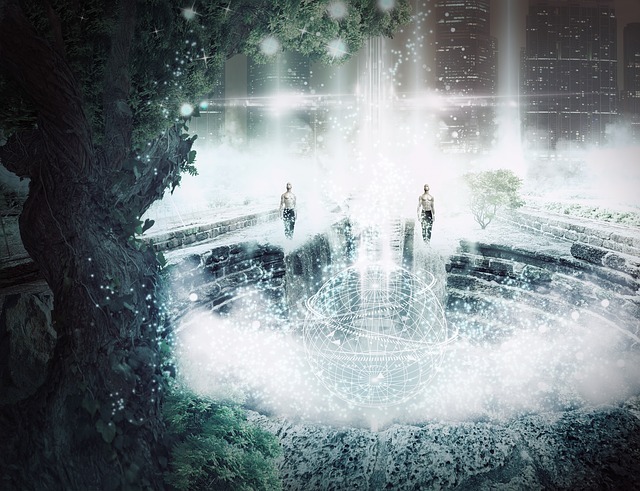 This reflects the broad humanitarian sweep of Aquarius, united with the Neptunian desire for a merging with the Spiritual, we can imagine that technology will seem increasingly conscious and spirit-infused as it will reflect the more ideal parts of human nature (this wont be out a shadow of course). 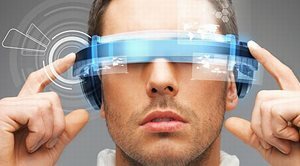 Another trend to continue to watch out for will be the continuing rise of machine intelligence, intelligent machines, and virtual reality. Machine intelligence will reflect an increasing spiritualization of the technological, and it’s potential to reflect a dreamlike diffusion of human-like consciousness into machinery. It seems that humanity is on the first arc of approaching the Singularity popularized by Raymond Kurzweil in which our simulacrum will perhaps awaken and become self-reflexively conscious. Virtual Reality will continue to blur the line between fact and fiction, bringing our dream-world closer to reality than at any other time in human history. Our lives will continue to migrate onto the World Wide Web and increasingly interface with bits and bytes. The final trend this arc will continue to articulate is the trend towards miniaturization and customization. This reflects the emerging tendency in the human unconscious for the archetypal Aquarian tendency towards individual freedom and the products of innovation having a distinct human application. Apps, and other forms of customizing and personalizing devices will continue to accrue at a fever-pitch and may reach unimaginable heights including the rise of personalized communications satellites, stay tuned. The Promethean ethic is merged with the transcendent impulse of Pisces, and the theme is decidedly that innovation does not ask permission to innovate and increasingly it is innovation that will permit a self-fulfilling prophecy of spiritual liberation. Technology will increasingly be used to unite people together under common psycho-spiritual frameworks. A noted result of the rise of the Internet after 1990 has been an increasingly globalized economy (more on that later), and a diffusion of ideas, cultures, innovations, philosophies, and spiritual systems. This diffusion of ideas is quickly changing cultures all around the world as these ideas spread uniting people and mobilizing cultures in new directions, much of this development is giving rise to increasing movements that are securing civil liberties across the world and toppling entrenched regimes. As evidence of this we had the Arab Spring and the Occupy movements, both empowered by social media websites like Facebook and other platforms that compressed Space-Time distinctions. Increasingly what will be interesting to watch for, is the continued articulation of this trend as mentioned above as machine intelligence increases towards eventual sentience, our devices could potentially continue to merge us into one another and also liberate us (should we chose that direction for them). In this greater Meta-analysis, it is noted that the other planetary transits correlate beautifully with the overall energy of the current Pluto transit through Sagittarius, which is inexorably paving the way for Planetization. The explosive growth in population and the liberalization of our economies to global scale and the technological diffusion which has begun to fuse cultures into, both a fusion and fission dynamic tension has empowered the possibility for the second time since the rise of Agriculture and the first human civilizations the possibility of a unified world society in which our species acts as one organism. Trends to watch for, are the empowerment of a legal framework that could give rise to world governance, starting first with the World Court and the possible intensification of the United Nations. The arrows are being aimed high to reflect Sagittarian themes, to further elaborate in order for the new legal framework to emerge their first has to be a shift in another Sagittarius related area ideals, ethics, morals, values, and philosophies. Increasingly as cultural diffusion continues and civilizations clash the dizzying pace of cultural acceleration will only ramp up and continue to put selective pressure (Pluto being symbolic of the evolutionary impulse), on world systems of culture to begin to reflect a planetary ethic. It’s the upside of Globalization, that said there is a shadow side to contend with, hierarchy, slavery, poverty, plutocracy and inequality all remain entrenched plutonian dynamics that will have to be confronted as this transit continues to 2024. Humanity has many unprecedented crises that could potentially unite us, besides the dislocating effects of massive scale new technologies and the need for continuing management of our high-technology social praxis, there is also the biggest crisis of our times which require a do or die attitude and a new collective vision of unilateral cooperation and horizontal functioning across all social distinctions, a decidedly Sagittarian-Pluto impulse. * Tropical Zodiac is the Ptolemaic traditional 12-sign zodiac used by Western Astrology. Ophiuchan Zodiac is the 13-sign zodiac that updates Astrology to reflect 21st century cosmology and the wobble of the earth on its axis which causes the phenomenon known as the precession of the equinoxes. This months Astro report will utilize the Ophiuchan Zodiac, the focus will be less on the signs and more on the aspect patterns as those tend to be the significant attractors in how these events correlate to the human psyche. Starting early May, the intensity of April will continue to rage as the month dawns with a Venus opposition to Saturn, a Saturn-Jupiter sextile touching off a three planet T-Square creating a great deal of tension at some sensitive points. It will proceed with a Mars station in Virgo starting may 7-8th, and echoing all month long until it goes direct again on May 20th. The T-Square and Mars retrograde going direct finish out the this lion of a month and give us an exuberant entree’ into June. This is a momentous opportunity now to utilize the creative energies that may have been languishing through April, as they were commandeered to deal with some of the more challenging aspects of what April may have wrought. The square of the last month besides welcoming in some pressure also had the potential upside of activating latent creativity that will only be heightened by this sextile touching off a tense T-square on may 5th. If there are any speculative ideas that need to be made into actual realities now is the time. With Jupiter magnifying the basic prowess of the mind and mental processes and Saturn working through the mechanics of practical reality, any dreams languishing in the imagination have an entry point now to collapse into lived reality. A great time to start any project with a far reaching goal and find practical solutions and methods for bringing big ideas down to Earth. A good time to research needed seed money, or any other practical ideas for getting things off the ground. on the world scene a focus may now be focused on practical solutions to pressing problems facing us collectively again only if we choose it. Venus finds herself in her most exalted position, Pisces this month, forming a direct opposition to Saturn hanging out in late Virgo and early Libra. This speaks to the need to balance our relationships to forces greater than ourselves with practical realities. The more idealistic Venus is being asked to make concessions to practical reality and natural law. It calls for taking the more spiritual and idealistic aspects of our lives and bringing them into the purview of our everyday reality, a kind of practical philosophy is called for that unites the better angels of our nature with cold sparkly realities. Practically, the writing is on the wall for our relationships, no longer can we gloss over less than ideal flaws, and the practical day-to-day realities must be contended with, there is equal parts mutual agreement and commonality balanced by the reality that we all have to work to live and deal with bodies that follow principles making them less than ideal to live with. It is calling for the power to self-possess balanced by the need to self-transcend to see how we are united in to a whole greater than ourselves. Collectively it speaks to the impulse in us to unite as one world and one species and also deal with the practical and very real global crises that are converging on us. Uranus here is the focus, with Pluto exerting selective pressure to push evolution, and Jupiter magnifying those pressures, the need to innovate to solve pressing ecological, technological, and social problems is more pertinent than it ever has been before. It is literally a reiteration of adapt or die in this case it is innovate or die! This will be the energy of this transit and will continue to echo over the ensuing years as these pressures are pushing evolution into novel new directions (and transits always leave faint traces or cosmic echoes which continue to reverberate through the cycles of time). To really benefit from this energy it is highly recommended that if there are any pressing projects, details or major loose ends, this would be the time to address them. Anything innovative or forward thinking will be high-lighted now and will require meeting intense evolutionary challenges, it is do or die. Ultimately these particular pressures are pushing us all towards novelty and the power of negentropy and to a higher level of complexity, in adapting to new prevailing conditions. On a world scale, it reflects the confluence of technologies of liberation (Neptune in Aquarius in mutual reception to Uranus in Pisces) , an urge towards increasing social merging, including the dissolution of entrenched social hierarchies (Pluto in Sagittarius), and the empowerment that comes through instantaneous communication modalities (Jupiter in Gemini), all converging on the confluence in the native urge inside all of humanity to innovate and solve emerging collective problems in our collective evolutionary story. This is the second aspect to touch off the tense T-Square that defines much of May, Venus who is symbolic of the human impulse to connect and love in mutual reciprocity with others teams up with Uranus symbolic of our ability to innovate and solve seemingly intractable problems, unite in Pisces the sign of merging with the primal first causes of the Universe and seeing ourselves enmeshed into a whole which unite us beyond distinctions (it has a dissolving effect). These two forces aligning into one are then opposed by Mars in Virgo stationing in retrograde motion. We may find ourselves obsessed by innovative fancies invading our relational capacity. New ways of approaching old relationship problems will be high-lighted during this transit. It will not be a time ripe to act in new direction as Mars which represents initiative will be moving in retrograde motion, however if there are lingering problems that remain edgy, this time will be a chance to re-do and find a different approach to the same insolvent issue. The focus will be on finding practical and yet innovative ways which high-light the need to honor the self and ones native desires and also merge with another’s desired focus for relationship. Collectively it speaks to a need to utilize innovative approaches to old social problems with a focus on practical actions, and the call to re-do any past mis-steps that have led to lingering problems. That wraps up the juggernaut of May, it will be a fiery and fast moving month, with plenty of initiative appropriate given that is the Ophiuchan zodiac, the Sun spends most of the month in Aries, and then moves into Taurus. The changes that are initiated using the pioneering energy symbolized by Aries will then be stabilized by the fixed properties represented by Taurus. A fiery and energetic start to Summer, which will then lead into the lusty, fecund, and wildly sexual energies of mid-summer, see you all at Solstice time my lovelies and enjoy the ride! See you in the stars next month lovelies!! Please feel free to use these ideas, I just request that you give credit and cite the source. Thank you. I can’t claim to be an expert but I try to offer a perspective that is original.